Of late, the National Board of Revenue (NBR) has issued a Statutory Regulatory Order (SRO) that apparently created discontent among a section of the investors who were encouraged by the government's policy measures only a year ago. For the investors of local mobile handset assembling plants, NBR's issuance of a fresh SRO stipulating 10 new conditions just within hours of the Finance Minister's (FM) placing of the national budget in parliament is a big policy shift just one year after assuring them of tax benefits, following which they have invested some Tk 3.0 billion. The FM in his budget speech proposed exemptions of value added tax (VAT) on local production of mobile handsets and imposed 2.0 per cent surcharge on the import of handset devices. The revenue authority on the same day issued the SRO in question setting 10 new conditions that stipulate that every assembler, to avail government-declared tax benefits, must add 30 per cent value and have the capacity to manufacture five components of a mobile phone-printed circuit board, charger, battery, housing and casing-in its plant, among others. The SRO No. 168 also contains instruction for the assemblers to make available 18 types of machineries in the plants, which has also created a sort of debate as to whether such a directive is practicable considering that some of the machineries mentioned in the SRO are not at all necessary for the mobile assembling plants. NBR in the fresh regulatory order also said that 15 per cent VAT will be imposed on phones assembled by any company that will fail to comply with the set conditions. The tax for local manufacturers as per the order will now be 13 per cent if they follow the 10 conditions. But for the local assemblers, the VAT will be around 34.2 per cent if the 15 per cent new tax is added to the existing rate of 18.8 per cent VAT as was declared last year. Meanwhile, the country's import tariff for mobile handsets now stands at 31.1 per cent. Against this backdrop, the owners of local mobile assembling plants are now left with uncertainty as to how they can survive if the import tariff remains lower than that of local assembling. Samsung is the first global handset company to step in Bangladesh with a 58,000 sqft state-of-the-art assembling plant in Narsingdi generating over 500 new jobs with many more indirect jobs. The mobile phone giant has also started rolling out assembling two types of handsets initially to bring purchase of smartphone to an affordable range of the consumers. 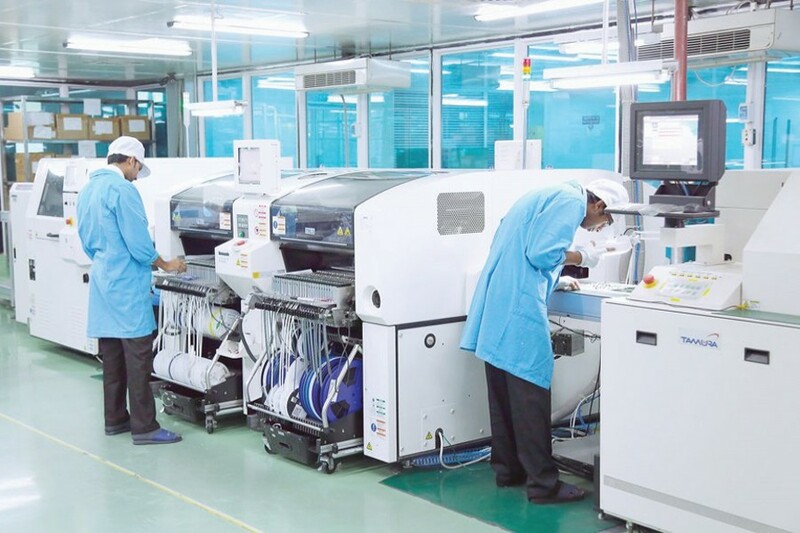 Edison Group, the parent company of the country's number one mobile handset brand Symphony, has already employed about 400 people for their plant investing about Tk 400 million. Transsion Group (manufacturer of Tecno and Itel brands) also completed its factory installation in Gazipur along with three other local players who are also setting up plants in different parts of the country. Of the seven players in the industry, only Walton has a fully-operational handset manufacturing unit thanks to its availability of allied television and laptop plants that also require same kind of manufacturing facilities. Industry insiders are of the view that no mobile brand in the world manufactures all the handset components itself - be it battery, charger or anything else. Even the top global brand entities like Apple (manufacturer of iPhone), Samsung, Huawei and Transsion do not manufacture all the mobile phone parts; rather, they collect different parts from across different parts of the world and assemble those in their plants. In neighbouring India, mobile assembling started eight years back and the assemblers add merely around 7.0 per cent value to their produces whereas the world's largest assembling country China's value addition is about 25 per cent only. Local assemblers, therefore, find it illogical to add 30 per cent value to their devices to get tax benefits. One can argue that it took about 20 years in Bangladesh to bring the readymade garment (RMG) industry to shape and even those booming RMG units are not manufacturing all the components. Hence it is not inappropriate to think that a new industry of mobile assembling and manufacturing, which has started less than a year ago, needs some tax benefits to survive and grow at this nascent stage. But with sudden and swift shift in government policy, it becomes tough for those in the industry to survive with their investment. Mobile phone, no doubt, has a very important role to play in spreading information and communication technology-based services and businesses. Bangladesh last year imported 33.4 million units of handsets costing Tk 100 billion. But the new tax structure might hit the prospective handset assembling industry hard by way of rise in cost of production. In order to help the mobile assembling and manufacturing industry flourish and attract investment further, the government should continue its policy support to spur genuine development and the much-needed protection of the domestic industries. Besides, there is the issue of investment of hundreds of millions of taka, obtained by the assemblers as bank loans.